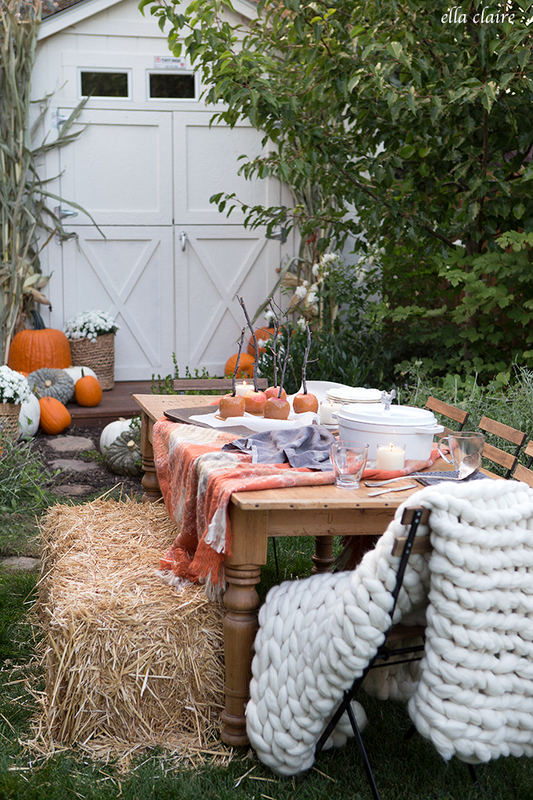 Host a Last-Minute Harvest Party! 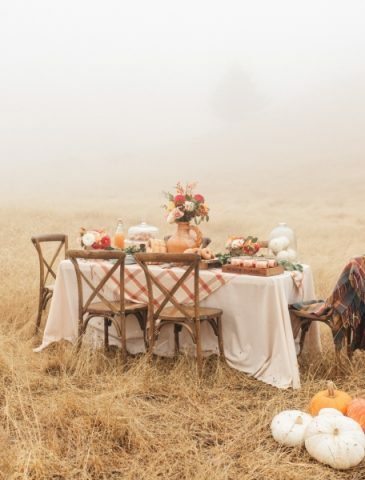 Hosting a harvest party is quickly becoming one of my favorite fall traditions. 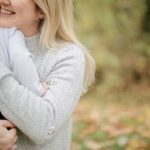 My kids are still a little too young and little too easily spooked by Halloween, so we gather our friends and family together for a big party full of comfort food, fun games, and memorable moments. Each family comes dressed in a family themed costume. 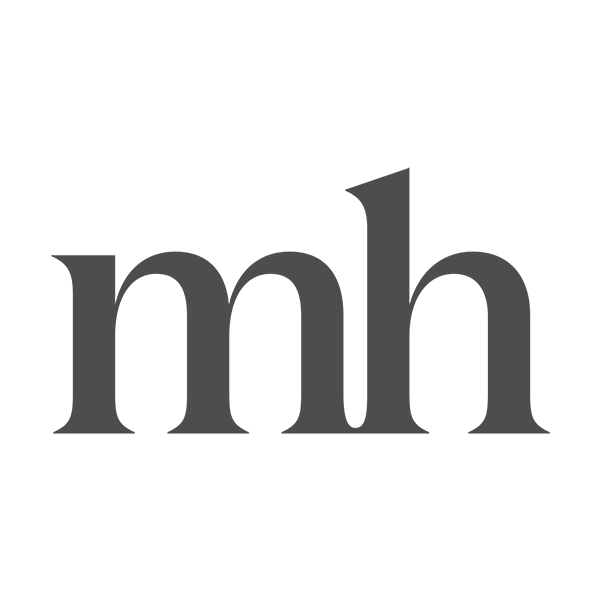 We have tons of games where you can win tickets and collect prizes at the ever so beloved prized table- it’s such a fun day! I still can’t believe it’s that time of year again… tomorrow is the day, make sure to watch my Insta-stories to see it all. 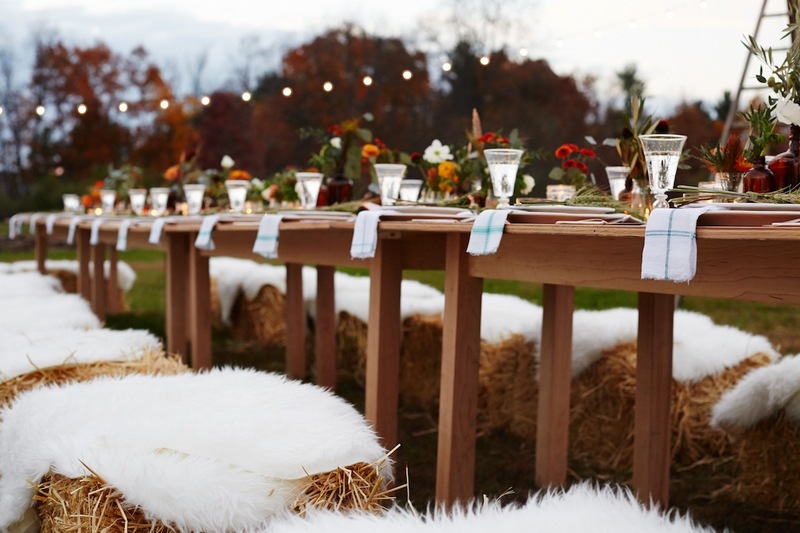 Contrary to what you may think, it doesn’t have take too much work to pull together a last-minute harvest party – especially if you get your guests to pitch in! Throw a potluck, get the crockpots on, and compile all the candy. 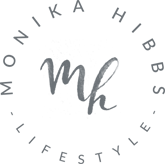 I’ve collected a few of my best tips – and some stunning inspiration – to help you pull together a last-minute harvest party! I love the idea of adding plush pillows and warm blankets to chairs to ensure everyone will stay cozy even if temperatures are cool. 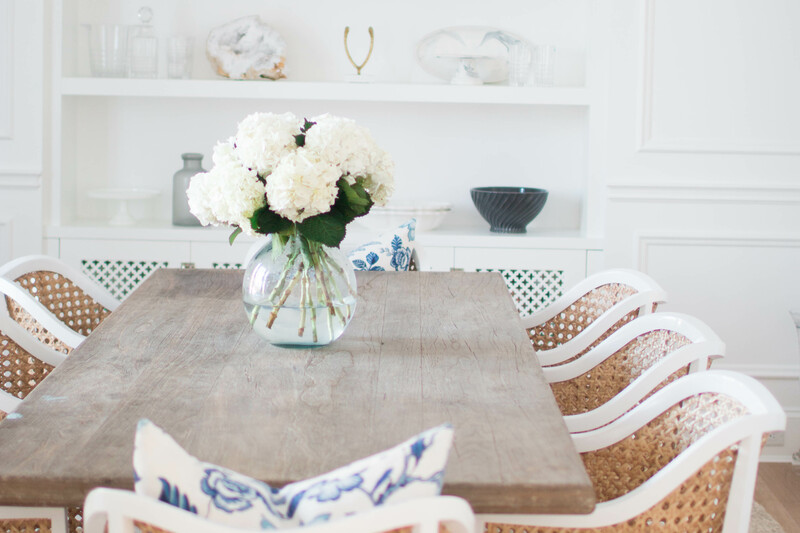 Need a few extra spots for your guest to sit? 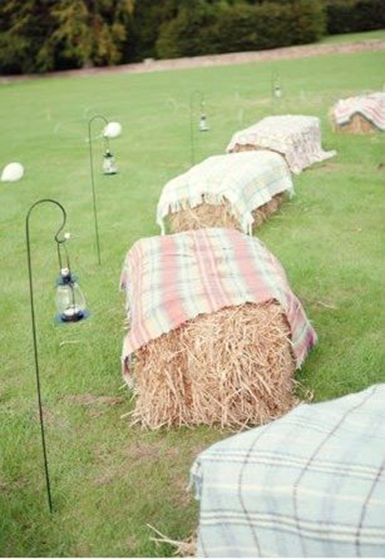 I love the idea of using hay bales covered with blankets to create a softer seat. The hay bales are relatively cheep, and lots of farms will even rent them out for a very small fee! 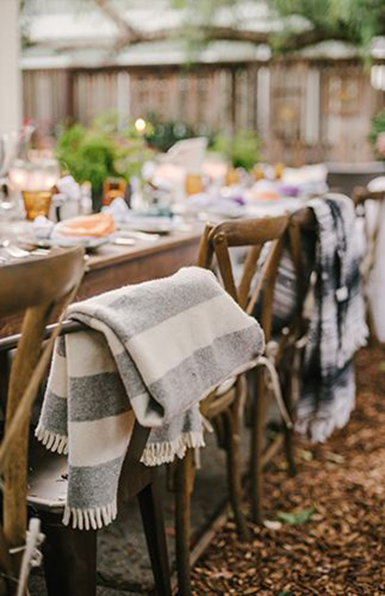 Drape a piece of plaid fabric, a blanket or even sheep skin. 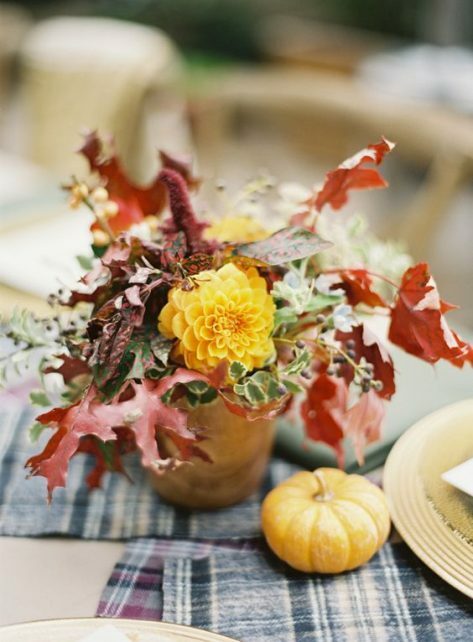 I love how it sets the mood of a fall gathering! I am all about bringing back the old-school games. Think three-legged races, burlap sack races, ring toss and bobbing for apples. 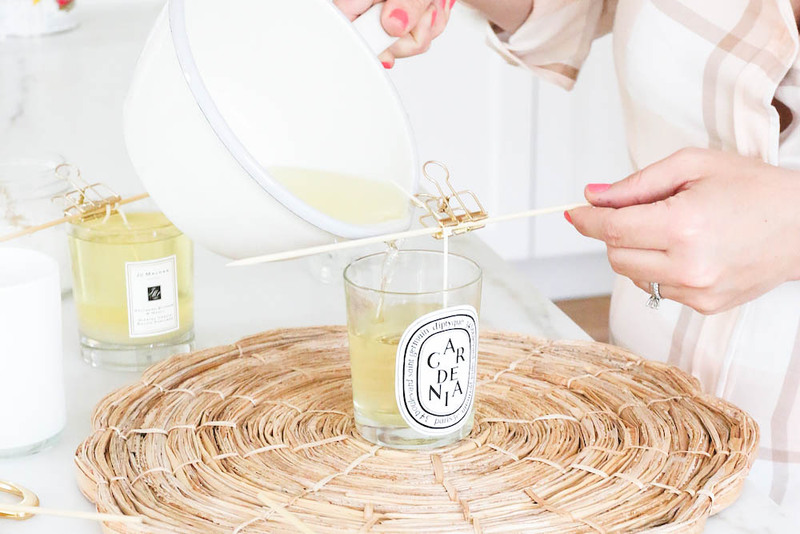 They’re simple games that don’t require a ton of supplies. 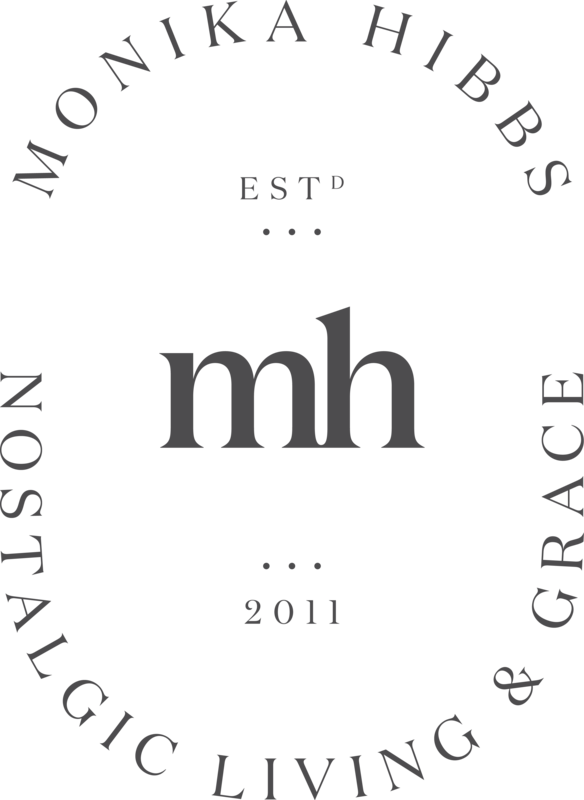 In a pinch, you could even use old pillowcases in place of burlap sacks, beanbags instead of rings. Simple games are sure to be crowd-pleasers – for young and old! 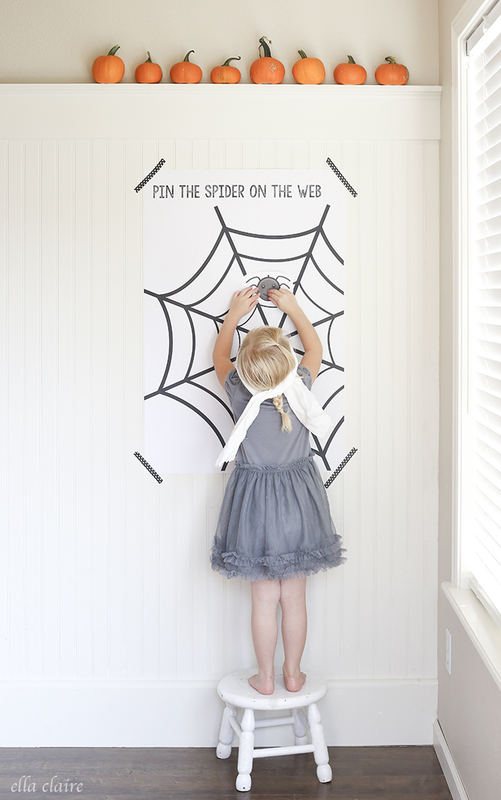 And how fun is this “Pin The Spider on the Web” printable over on Ella Claire’s Blog. If you’re still looking for great game ideas these 25 Game Ideas may come in handy! Add in some muted greenery and rich-toned florals, and you can create an easy centerpiece or visual interest to any space. It can be as big or small as you’d like. 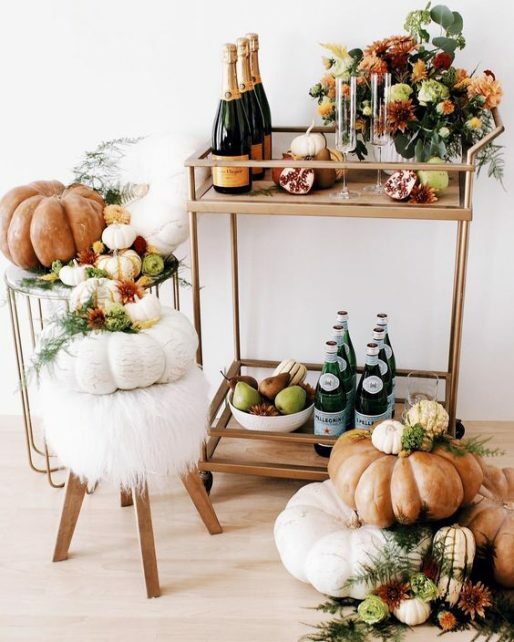 If you want to get especially elaborate, I love the look of this pumpkin bar cart. 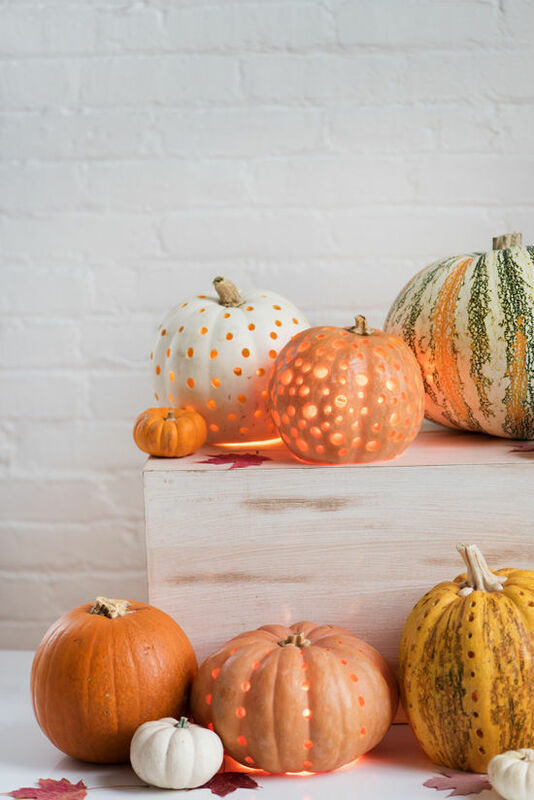 I’m also loving these pumpkin lanterns over at Design Love Fest, quick and simple as they used a drill to make those perfect holes! Like I mentioned earlier, get your guests to bring a dish and turn your party into a potluck. 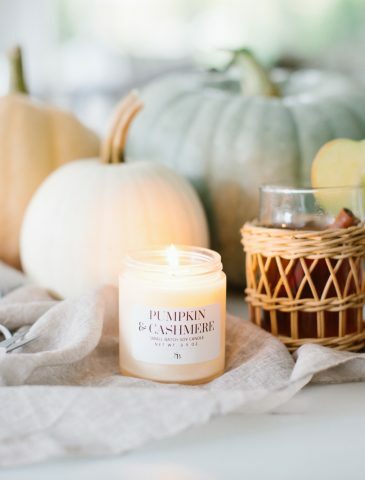 Whenever we host our Harvest parties, we always ask our guests to bring an appetizer. I love trying everyone’s favourite fall recipes. My cousin Leah makes the best buffalo chicken dip, I even asked her to make two dishes this weekend, because it’s always such a hit! 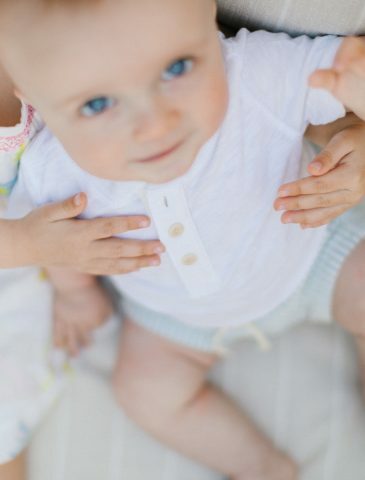 I’ll have to share it on the blog… if she lets me! Pull out your crockpot and make pulled pork or chicken for sandwiches. 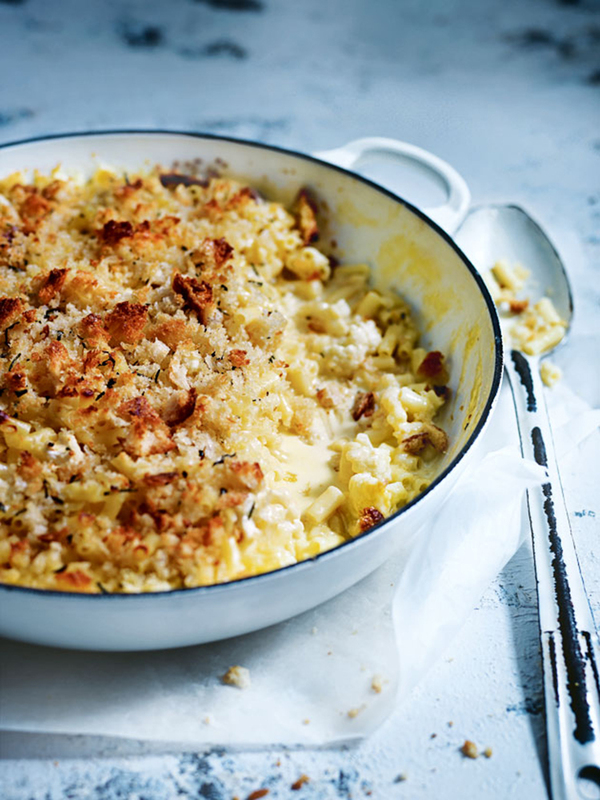 Make a big batch of mac and cheese in the oven. Hot chocolate and apple cider bars are always popular. 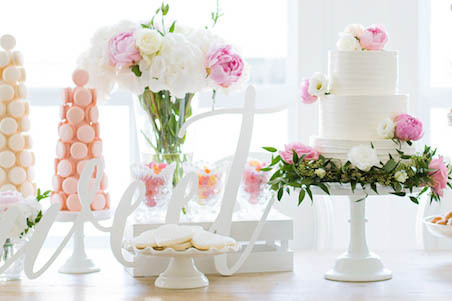 Get creative and add extra-special touches like special sprinkles or whipped cream. Ultimately, no matter what you choose to do, the most important part of your harvest party is enjoying the time you spend with your friends and family. Figure out what’ll be best for you and your guests, and have fun! If you’re still looking for a last minute costume idea head over to The House The Lars Built for a few quick and simple iron on costumes you can make in a pinch. 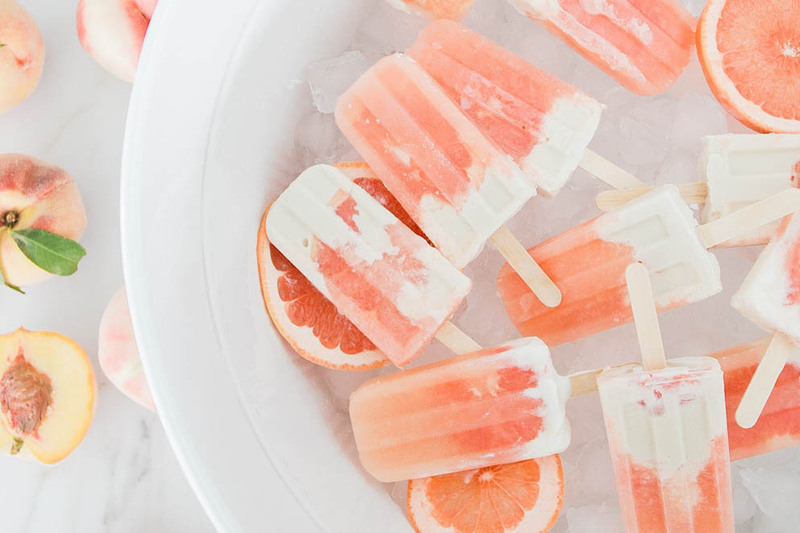 And on that note, Pinterest is always your friend too! Have a wonderful and safe weekend!